I love this keyboard very much. I use it everywhere, especially at work. 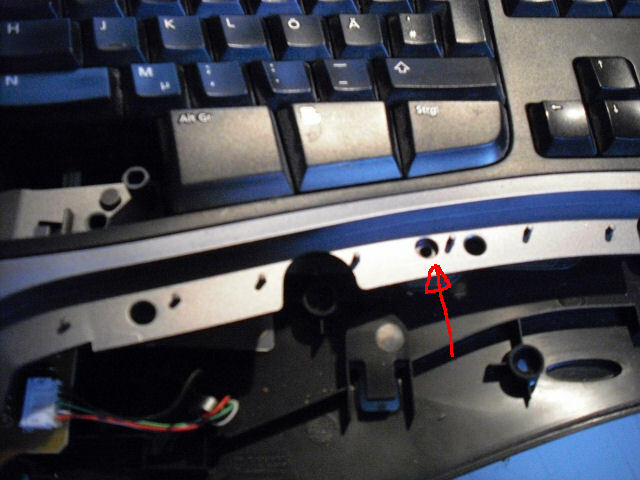 All keys are where they belong, no changed layout (hey Logitech, are you nuts rotating the pageup/insert block?). 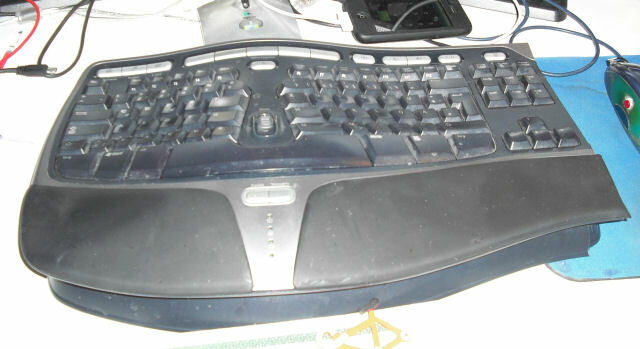 Unfornately the keyboard has a big drawback: it is veery wide. If you want to reach out for the mouse your arm has to travel nearly 30 centimeters. 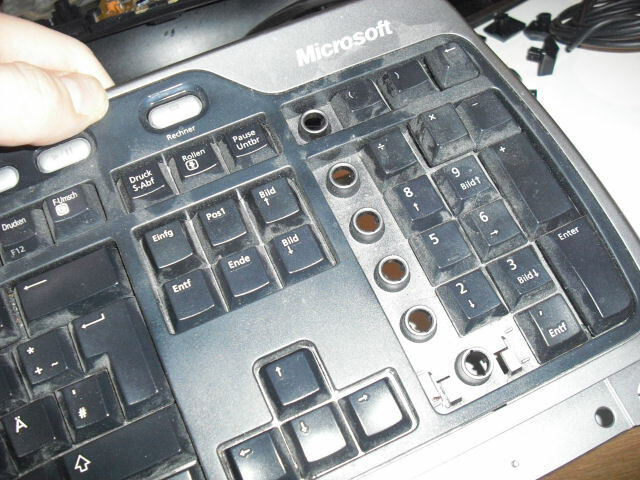 As i never use the numpad, but sometimes use the mouse i opted to simply remove that damn numpad. 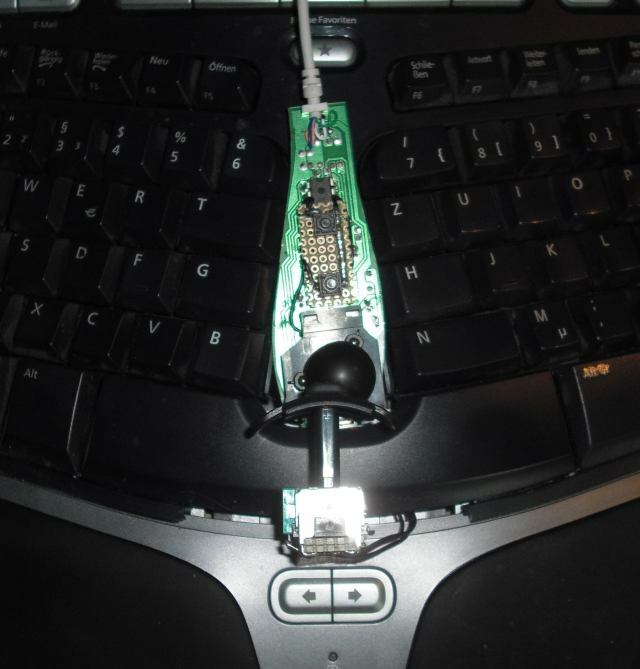 If i need one in the future i can connect one of those cheap usb-numpads. Here is how i did it. 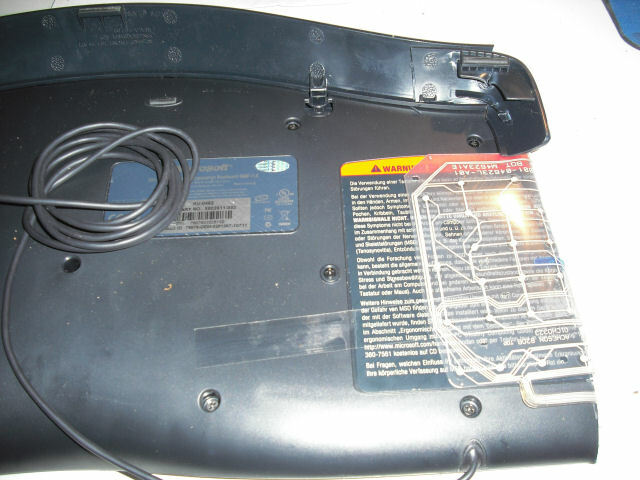 Remove all screws from the bottom, remove the fake leather padding and the spacebar, remove all screws indicated below. 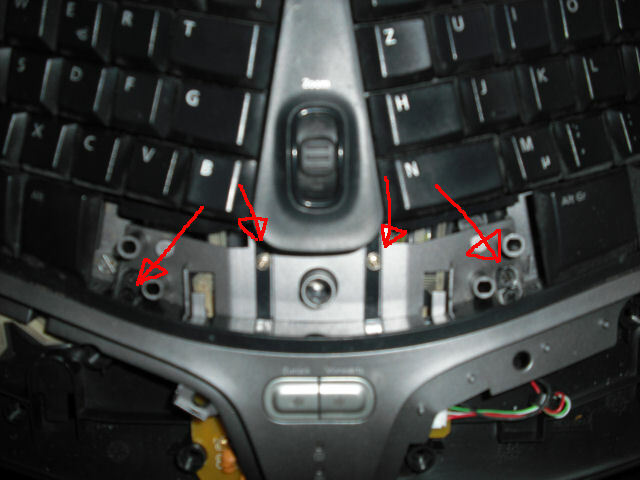 Remove all keys on the left side of the keypad. 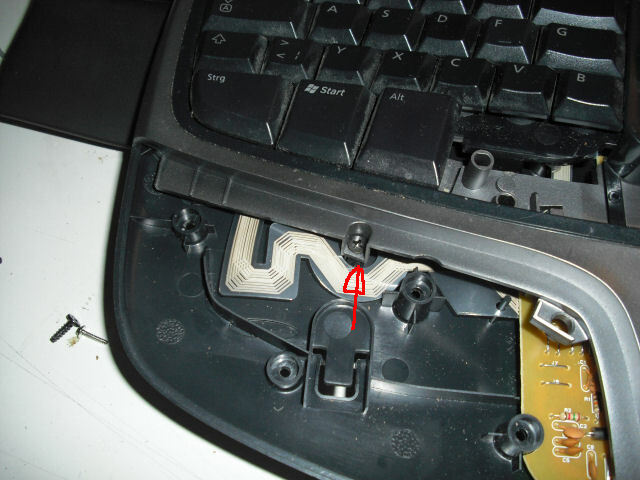 Saw off the keypad part, saw along the left edge of the keypad. Use a sharp knife to remove any splinters. 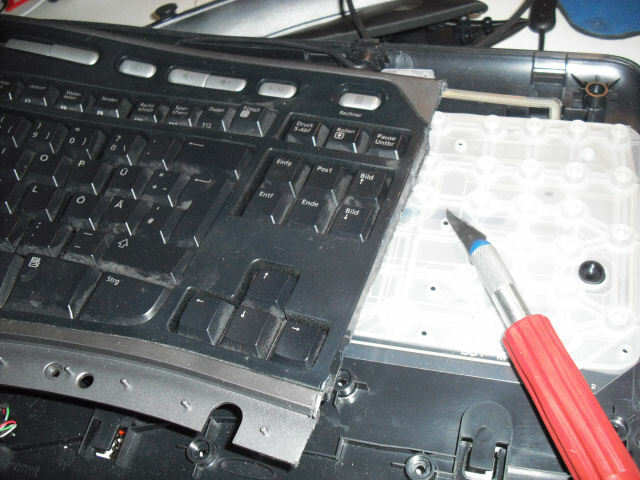 Cut off the silicone matting. 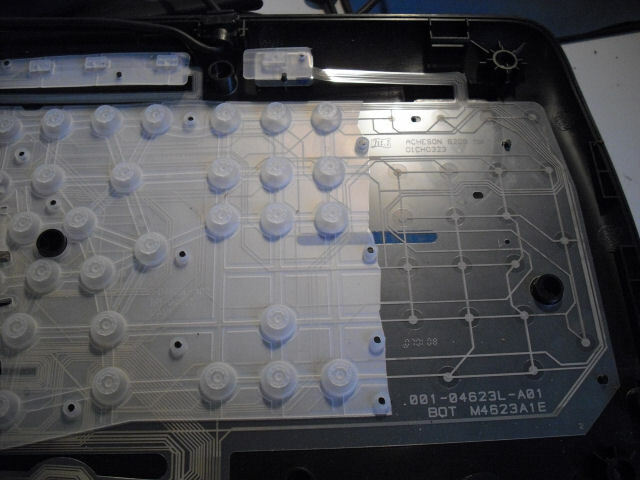 Cut the back of the keyboard, use the front as a template. 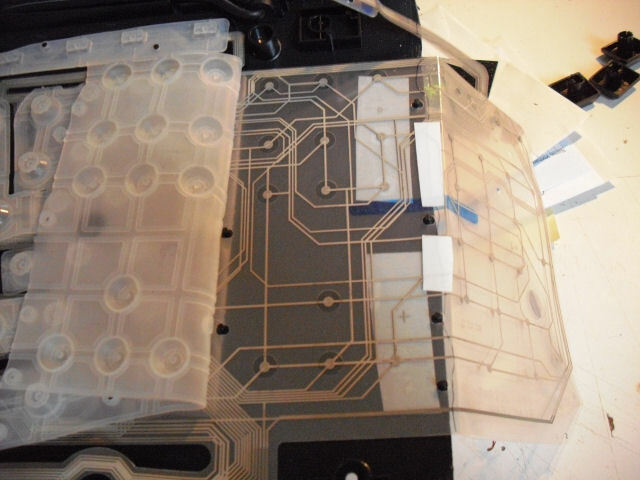 Fold the flexible circuit board around the edge and use double-sided tape to keep it in place. 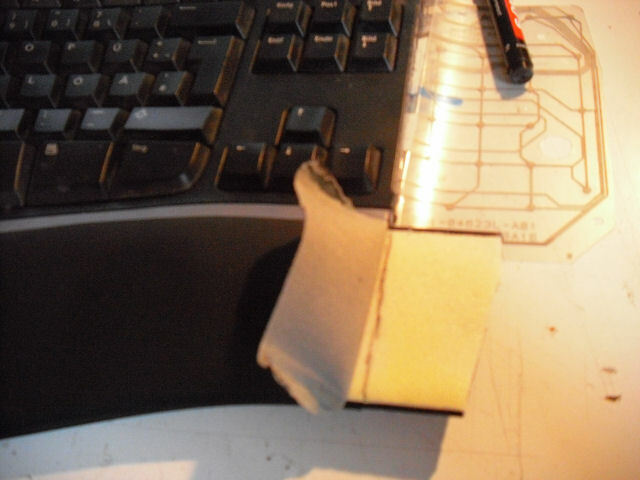 Remove the fake leather from the plasic, cut the plastic to the right lenght, re-glue leather. 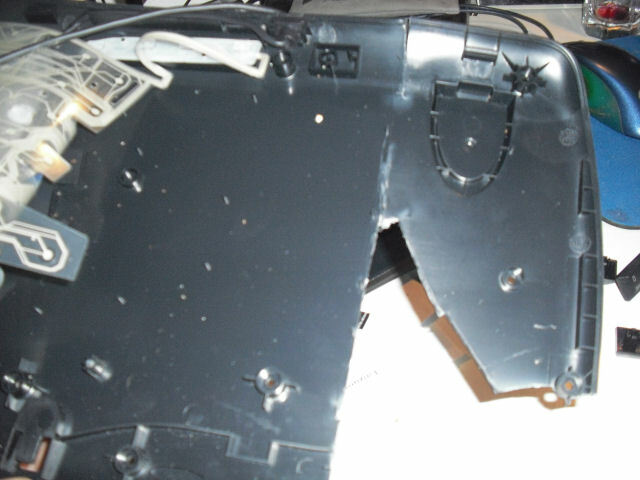 Modify and glue the front plastic spacer as seen here.